Spend S$8,888 by 31 March, pay a S$288 admin fee and get 28,223 miles. To mark the Lunar New Year period, Citibank has launched a very impressive spending promotion for existing Citibank PremierMiles Visa cardholders. If you’re currently a principal cardholder of a Citibank PremierMiles Visa card (no love for AMEX holders, sadly), and have been for at least 6 months (i.e. 1 Aug 2018), you should have received an invitation from Citi to register for their “CNY Tactical Spend” promotion. In other words, spending S$8,888 unlocks the ability to buy 28,223 miles at S$288, or 1.02 cpm each. That’s a fantastic price to pay to buy miles. Even if you hold a card with a higher general spending rate and want to factor in opportunity cost, the math still makes sense. Suppose I have a BOC Elite Miles World Mastercard, which earns 1.5 mpd on local spend. 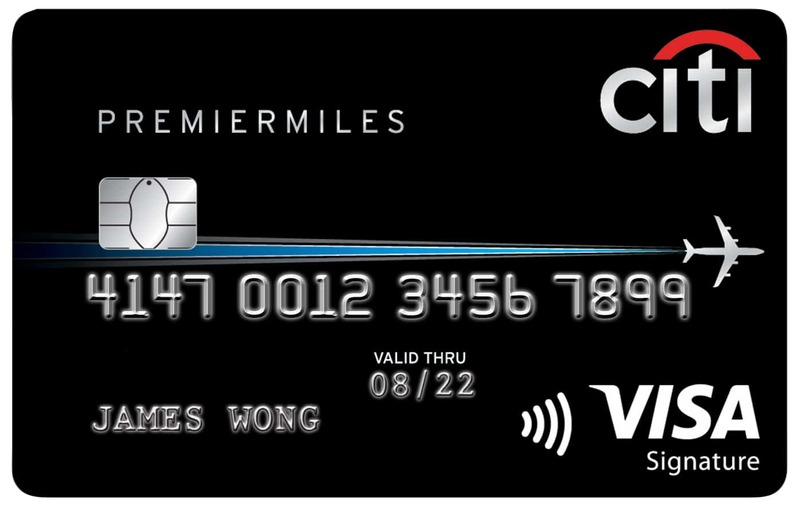 By spending S$8,888 on the Citibank PremierMiles Visa card, I’m forgoing 2,666 miles (S$8,888 @ 0.3 mpd). This makes my effective cost 1.13 cents per mile ($288/[28,223-2,666]), still an excellent price. Registration is required: Simply SMS “38MILES Last 4 Digits of your Citibank PremierMiles Visa card” to 72484 from your registered mobile number. Note that there is a space between “38MILES” and the last 4 digits of your card. The admin fee of S$288 will be charged to your PremierMiles Visa account within 2 months after 31 Mar 2019. Make sure the charge goes through successfully, because if not you won’t get any bonus miles! Do have a read of the full Terms and Conditions as there are certain spending exclusions to take note of. How does this compare with other ways of buying miles in Singapore? Back in 2017, Citibank awarded 31,200 bonus miles for spending S$9,000 and paying an admin fee of S$238, which allowed you to buy miles at 0.76 cents each. The current offer clearly isn’t as good as the 2017 one (especially when you consider that award prices have increased in the interim), but still one worth taking advantage of. Here’s an overview of the different ways of purchasing miles in Singapore, to give you an idea of where 1 cpm ranks. Apologies about the weird formatting if you’re on mobile, I’m working to get that fixed. If you were targeted for this offer and are confident of spending an average of S$4,444 a month over Feb and March, it’s definitely worth paying the S$288 admin fee to unlock the bonus miles. Citibank has the most transfer partners of any bank in Singapore, and Citi Miles allow you to access programs with useful partners and great sweet spots, like Avios and Etihad Guest. Hey Aaron, thank you for sharing this! Do you know if this is for selected cardholders? I have met all the criteria but did not receive an invitation. I didn’t notice an invite either, but SMS’s the number and instantly got a reply saying I was enrolled. Hmms but they said any official means and its posted on product page. Think should be ok.
Would be interesting to see if Citi’s PAYALL transactions count towards eligible spend? Hi Aaron, thank you for sharing. I wonder whether Citibank PayALL would count as qualified spending? In T&C it indeed mentioned “(v) bill payments made using the Eligible Card as a source of funds”. Would you shed some light here? Thank you. I wonder if the transactions of Citi PayAll counts, which can come in handy for hitting the 8888 target. Does not include PayAll – I had checked with them. Citi miles are worth buying because of the number of airline partners they have. If I spent 1000$ today but register this next week, will the 1000$ counts? Although not specifically mentioned, i assume all transactions which currently doesn’t get any miles, e.g. Insurance payment, would not qualify? I just called in. The officer said insurance payment dont earn but can be considered into qualifying spend. But total miles wont add up to 38888 since some txn no base earn of 1.2. Hi, would this be applicable for CitiRewards card too? I SMSed to register and got a positive confirmation back. Hwa! Talk about a stretch!? Is ipaymy and Cardup payments counted towards $8888 spent requirement? Hi, is this only applicable for main card holder, or does supp card count for the spending? Yes, supplementary card and main card spending all count. Just confirmed with CSO. I called up the CSO and understand that insurance payment would be considered under the $8,888 qualifying spend but not earn the basic 1.2 miles per $1 spend. However, does anyone knows if insurance payment through Cardup would be considered as a qualified spend which also earns the base 1.2 miles per $1? Would appreciate if anyone can enlighten. Same for hospital bill payment. It does not qualify for the base miles but count for the purpose of the $8,888 spending. Has anyone tried insurance with cardup/ipaymy and is successful?